"Pierre-Emerick Aubameyang has been in sensational form for Arsenal since moving to England in January. The striker is the top scorer in the Premier League with ten goals this season." 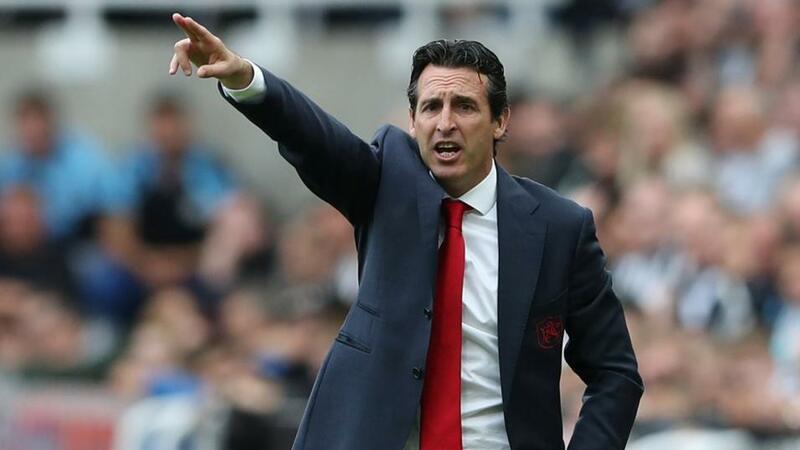 Unai Emery was tasked with replacing Arsene Wenger in the summer and the new Arsenal manager has made a huge impact in the first half of this season. The Gunners lost their first two games, against Man City and Chelsea, but have since produced a superb 20-match unbeaten run in all competitions. This has taken them up to fifth in the table but they are only two points behind third-placed Tottenham. A sign of the rapid strides made under Emery came in Arsenal's brilliant 4-2 home win over rivals Spurs last week. The pace and intensity of their attack was exceptional and demonstrated they have to be taken seriously as top-four contenders. Arsenal could have also won on Wednesday but had to settle for a 2-2 draw at Manchester United after twice squandering a lead. Huddersfield made a very slow start to the season after failing to win their first ten Premier League matches. Their early form left the side written off by many as relegation certainties although David Wagner's side have rallied. The Terriers earned a vital 1-0 home win over fellow strugglers Fulham to get off the mark before a 2-0 victory at Wolves. The harsh sending off of Steve Mounie, for a high challenge, proved costly last week as Huddersfield's early lead was lost during their 2-1 home defeat to Brighton. Not for the first time this season, defensive mistakes and a catalogue of missed chances left Wagner frustrated in their 2-1 loss at Bournemouth on Tuesday night which left them 17th in the table. Arsenal are as short as [1.3] to win this weekend but it is difficult to pick holes in their chances. The Gunners were mesmerising in their last home game against Spurs and their potent attack could punish Huddersfield. Arsenal thrashed the Terriers 5-0 last season and have beaten them in their last three clashes. Huddersfield are [13.0] outsiders for this match and the odds are not even big enough to consider a punt on them. The visitors have only won two of their last 19 league matches and it is almost impossible to make a case for them here. Huddersfield would be delighted with a point but a defeat looks the obvious outcome. The draw is trading at around [6.4] but this also offers no appeal in a game where the hosts have everything in their favour. Four of Huddersfield's games have ended in a draw and they will surely set their stall out to frustrate Arsenal. But the attacking class of their opponents will surely tell eventually. A home win looks a banker but it is not a betting proposition at such slender odds. Pierre-Emerick Aubameyang has been in sensational form for Arsenal since moving to England in January. The striker is the top scorer in the Premier League with ten goals this season. Aubameyang also netted with ten consecutive shots on target, after his double against Spurs, prior to the draw at Old Trafford. Arsenal's games have virtually guaranteed entertainment this season with their last four matches producing at least three goals. There have been 54 goals in their 15 league fixtures which is the most in the division. Using Betfair's Same Game Multi option, you can back Aubameyang to score and over 2.5 goals at enhanced odds of 2.08 which must have a great chance of returning a profit. Arsenal haven't led any of their 15 Premier League games at half-time this season, drawing 11, but they have scored the most second half goals in the competition (25). The hosts can be backed to be drawing at half-time and winning at full-time at 3/1.